Beautiful Incentives: FREE Target reusable bag on Earth Day and bonus coupon booklet! FREE Target reusable bag on Earth Day and bonus coupon booklet! 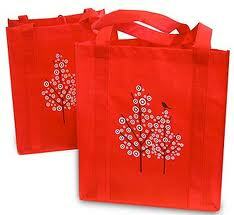 In celebration of Earth Day, on Sunday April 21st at 10AM, Target will be giving away 1 bag per customer. (Until Supplies Run Out) So get there EARLY! ALSO! Every bag will contain a coupon book with savings of $40.00. Target is giving away 1.5 million bags across the country. Of those bags, 250,000 will have samples in it too! These samples may include: Burt’s Bees, Method, and Seventh Generation!! Let me know if you got your bag and any goodies!